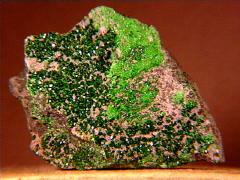 This is my uvarovite collection. 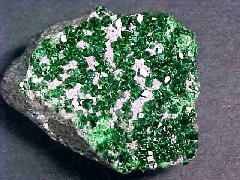 Unfortunately, uvarovites are invariably too small to cut for jewelry - the color would be beautiful! 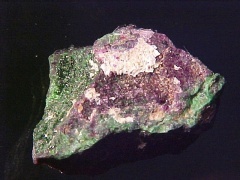 Uvarovites almost always occur in or on chromite or chromic serpentine matrices. They form (at least) an incomplete series with the grossulars. 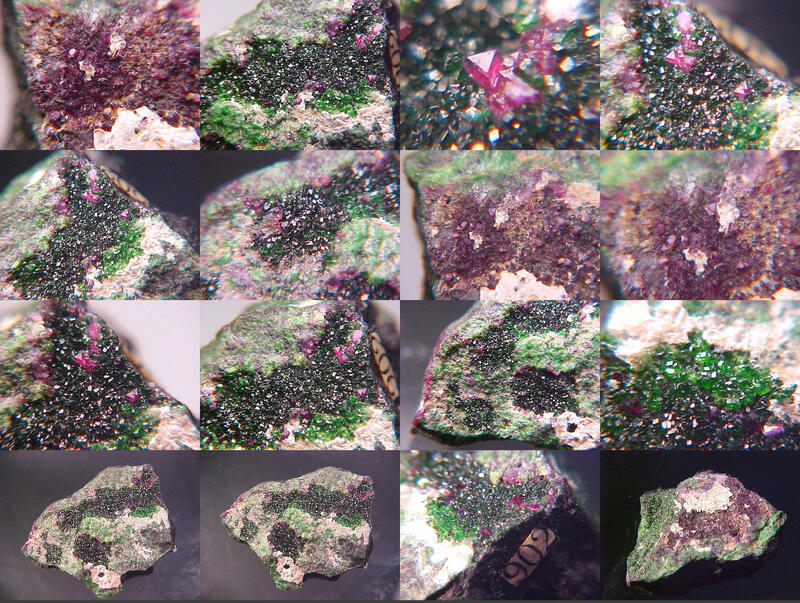 See my other garnet pages; almandines, andradites, grossulars, pyropes (and misc. garnets), and spessartines. Also, see my other nesosilicates. 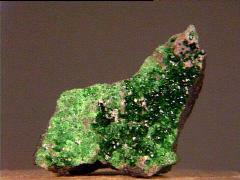 This uvarovite's from the Saranovskiy Mine in the Middle Ural Mountains of Russia. Two micromounts of uvarovite with chromite from Oxford, Quebec, Canada. 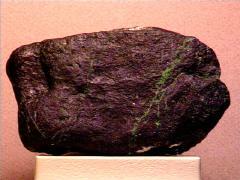 A waterworn chunk of chromite with microcrystalline uvarovite veins from San Benito County, California. 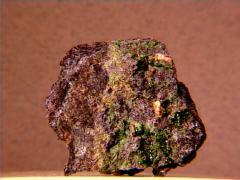 A thumbnail of uvarovite on chromite from Amador County, California. 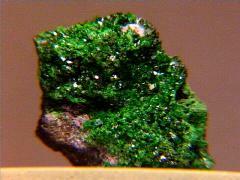 Thanks to Gary Lozonne at Lozonne's Minerals for the specimen and the image! 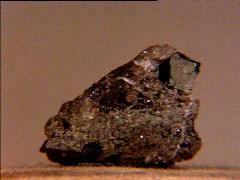 Most of the uvarovite these days comes from Russia - this one's also from the Saranovskii Mine in the Urals. Thanks to Tom Taaffe's auction on eBay for the specimen! 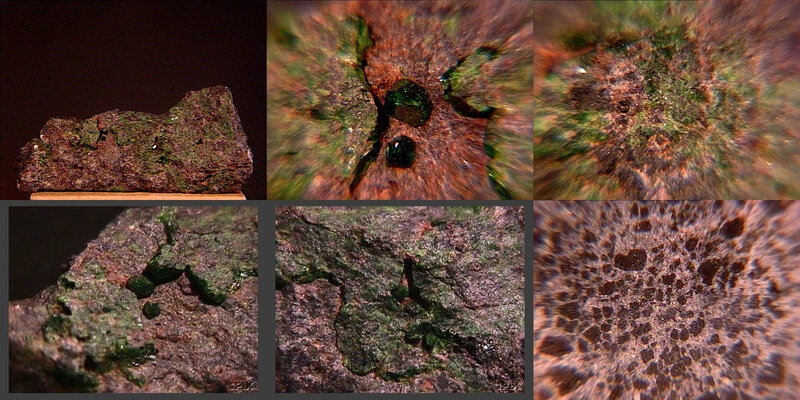 A very nice miniature of larger-than-normal uvarovites from the Urals in Russia. 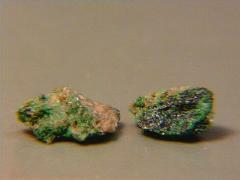 Thanks to Bob Williamson's B and L Minerals auction on eBay for the specimen! 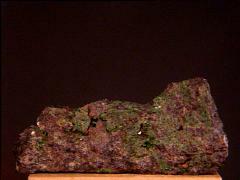 A small cabinet of millimeter-sized uvarovites from near Jackson, Amador County, California. Thanks to Val Collins' auction on eBay for the specimen and the images! An excellent miniature with a 6mm! 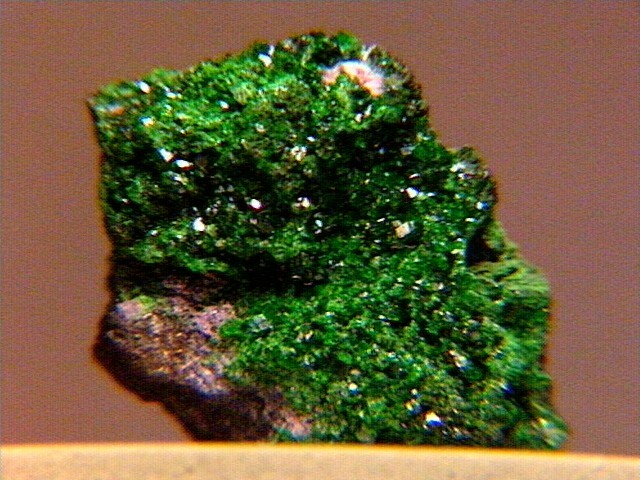 uvarovite on matrix from the famous Outokumpu Mine, Ita-Suomen Laani, Outokumpu, Finland. Thanks to Val Collins' auction on eBay for the specimen! A beautiful sharp uvarovite from Pakistan - the tag doesn't say where in Pakistan and MinDat doesn't show any uvarovites from there. 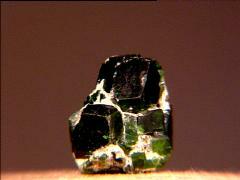 Thanks to the Astro Gallery of Gems auction on eBay for the specimen! A beautiful thumbnail of uvarovite and kammererite (chromian clinochlore) on chromite from somewhere in the New Idria District, San Benito County, California. The larger image is quite colorful! Thanks to Jasun McAvoy's auction on eBay for the specimen and the images!